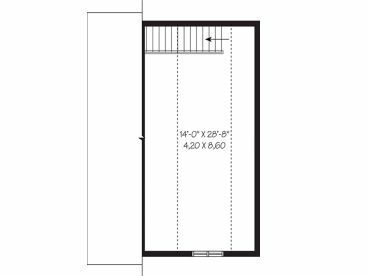 First Floor 8 ft. 4 in. 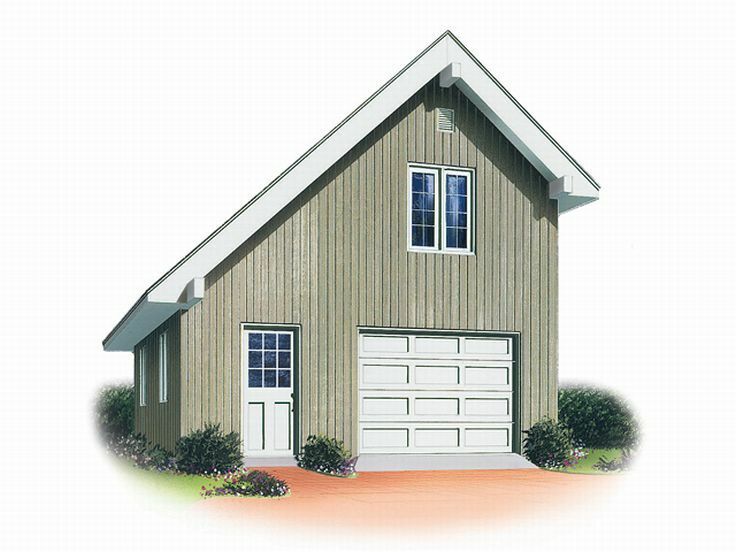 Take a look at this 1-car garage plan with loft. 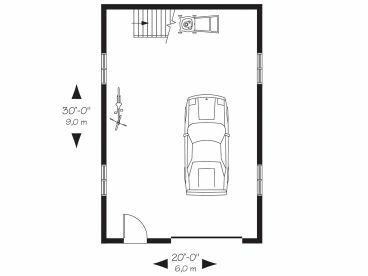 The main level offers an extra deep bay and 600 square feet of unfinished space, ideal for the storage of a boat or an oversized vehicle. There is even storage space for the lawn mower, bikes, gardening tools and more. 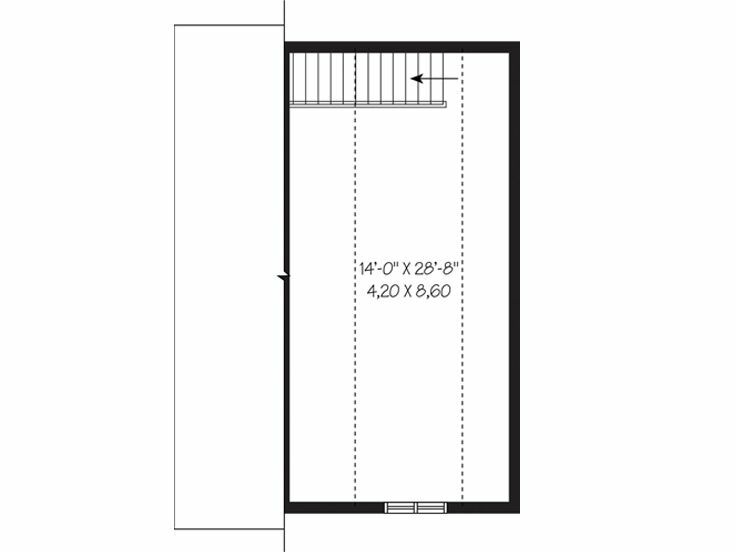 The second floor storage loft provides 414 square feet of unfinished space accommodating attic overflow. A front-entry service door and interior stairs lend convenience. Note the steep roofline, ideal for colder climates that receive large amounts of snowfall. 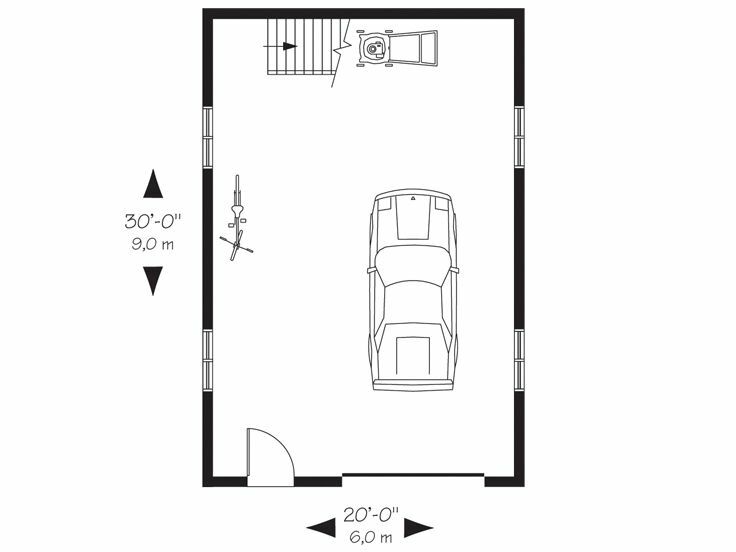 Flexible enough to satisfy a variety of needs, this garage plan with boat storage appeals to a wide audience of buyers.